Childhood memories are filled with races of a Scalextric track. 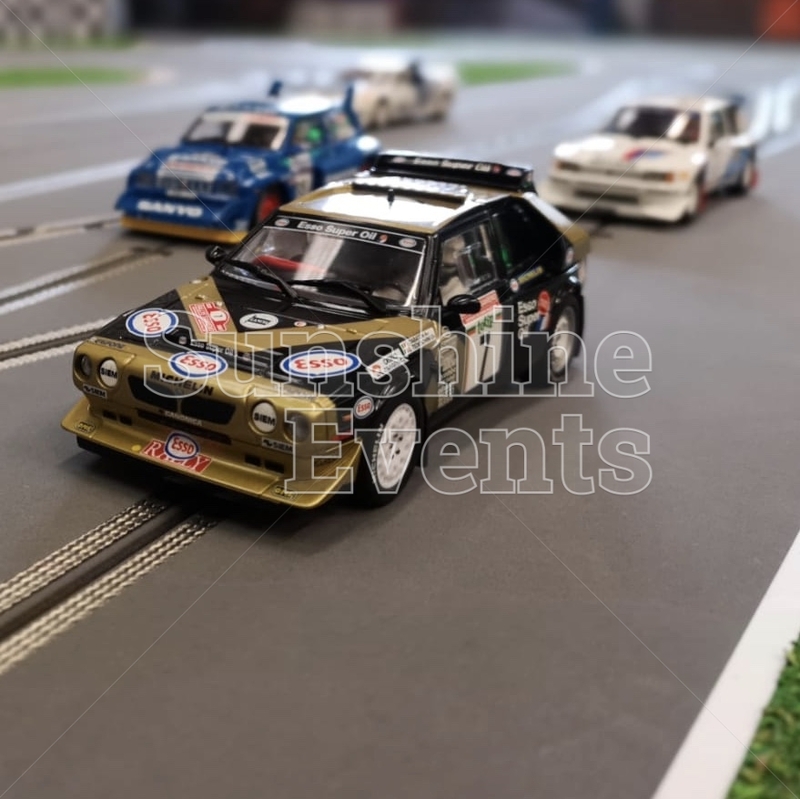 The must have toy for birthdays or Christmas presents, the Scalextric set has been a constant in childhood play since the late 50's when British manufacturers Minimodels launched it. 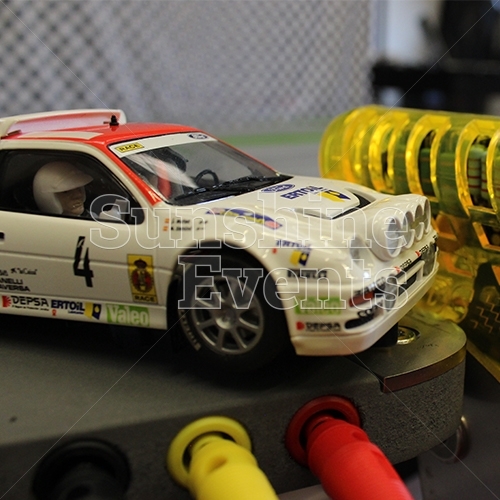 And when it comes to size, well the Fun Experts® have never shyed away from sharing our very own Giant Scalextric. Over the last ten years, we've seen upgrades to our own tracks but now we have something very special. Featuring state of the art technology, our new digitalised track brings a whole new element of excitement to our Scalextric hire! The Fun Experts® have made this available to all event types from Corporate Functions, Family Fun Days, Team Building, Weddings and many more. At first glance, you'll notice our giant track (which measures at 4.25m x 1.7m) has three lanes. 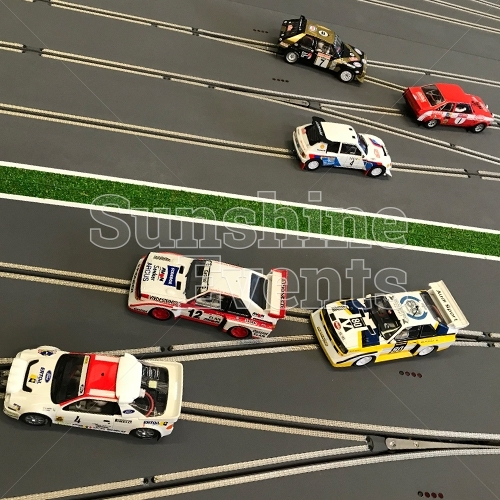 But before you go thinking "well so and so has a 4 lane track and they have an 8 lane track", the Fun Experts® upgrade allows up to 8 cars to race on the three tracks. How? Not to go in to too much detail, but each car is fitted with a small micro chip which, while racing, our computer can detect the speed and distance between cars, allowing them to cross over lanes at certain points. In all honestly, words can't describe how much fun this adds to the thrill of the race. The technology taking place behind the scenes allows guests at a variety of events to race to their hearts content, putting their foot to the floor (well finger down the trigger) and watch on in delight as our selection of classic American muscle cars and British rally cars race to the max with higher speeds, near misses and edge of your seat racing. 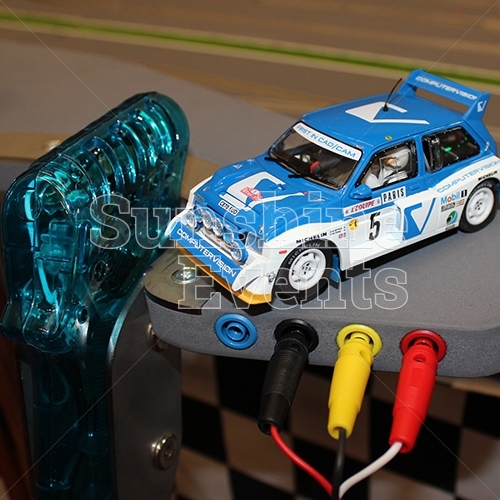 That's right - our Scalextric cars feature two groups. You can choose between the classic American muscle cars from the 60's and 70's and then there is the selection of classic British Rally cars. 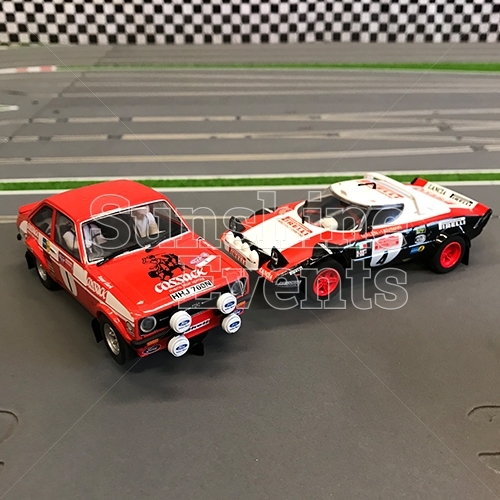 So whether you consider yourself a Colin McRae or Steve McQueen as Bullitt, you're sure to feel the need for speed as you "fire up the Quattro" with our all new amazing Scalextric hire. 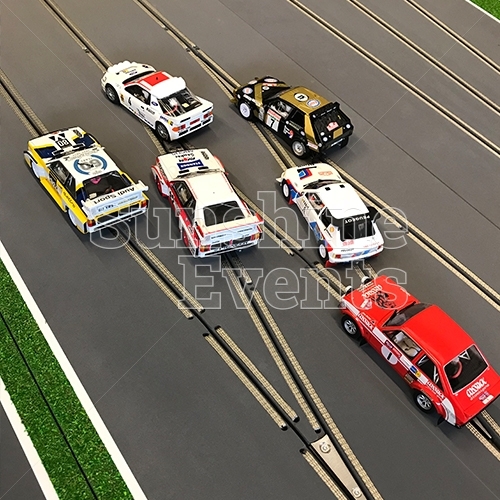 So without further delay, speak to the Fun Experts® today to discuss your event and how the giant Scalextric hire will be the ultimate crowd pleaser. "This is awesome! You can't believe how much better it can get but this does it! I want to go again - love, Love LOVE IT!"